Palmer amaranth, waterhemp, marestail, kochia in many regions are now resistant to glyphosate and several other herbicide modes of action. This has prompted some no-tillers to revert to tillage, and led some pundits to claim that no-till isn’t the future. Some weed scientists are also calling for reintroducing tillage to control these species. That’s not the only thing that weeds develop resistance to. In Australia, ryegrass is a terrible problem, and one of the methods to combat it has been catching the seeds in chaff carts and burning the chaff piles (now also mechanical seed destruction technology), but this is putting lots of pressure on ryegrass to: A) shatter earlier, and, B) become shorter in stature so its seed head doesn’t go into the combine. The problem with tillage is that annual weeds are favored by this. Every time you do tillage, you get a flush of weeds, right? You’re planting them to exactly the depth they want to be at; and any that were previously buried that hadn’t yet germinated may now be stimulated to grow by either flashing with light or scarification (scraping) of the seed coat. The theory has always been that you destroy that flush with further tillage. But eventually you must cease doing tillage because the crop is growing (on narrow rows), or has gotten too big to cultivate if on wide rows (or it rained too much to do the cultivating, etc). Then the weeds proliferate, and produce a vast amount of seed for you to plant with subsequent tillage. If tillage was so good at killing weeds, they should all be extinct by now. Stop the insanity. Stop planting the damn things. At least with no-till, you’re being assisted by nature in killing the viability of the seeds lying on top the soil – predation (insects, birds, rodents eating the seed), as well as weathering (wet/dry, freeze/thaw cracking the seed coat and letting fungi invade), takes care of a lot of this. 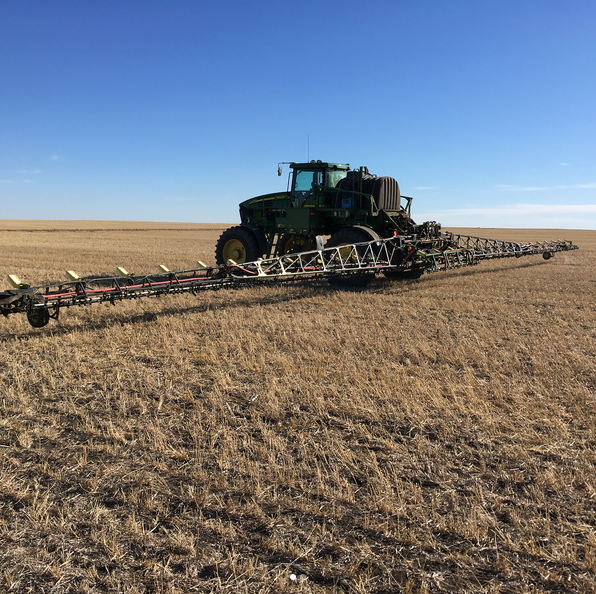 Being sparing with your insecticides helps these weed-seed-killing processes, as does ultra-low disturbance with your seeding equipment and other field activities. You’re still going to have some weeds and need very smart use of herbicides and other measures, but at least you have a chance of getting some help from nature in keeping the populations down. Driving around, I don’t see any difference on average between tilled and no-till for weed pressures. Some are extremely clean, others a weedy wreck – no correlation with tillage regime. Rather, it has more to do with the manager than whether tillage is used or not. So a message to the weed scientists: Stop telling farmers to add tillage back to their system – it’s not a tool that should be considered, ever. It’s simply too damaging to the soil, and very ineffective at suppressing weeds. As for the folks in the arid regions that do summerfallow, I understand perfectly well that needing to use paraquat and other herbicides that are more expensive than glyphosate & 2,4-D or dicamba makes it tough financially (as well as logistically – that’s a lot of water to haul to do paraquat). 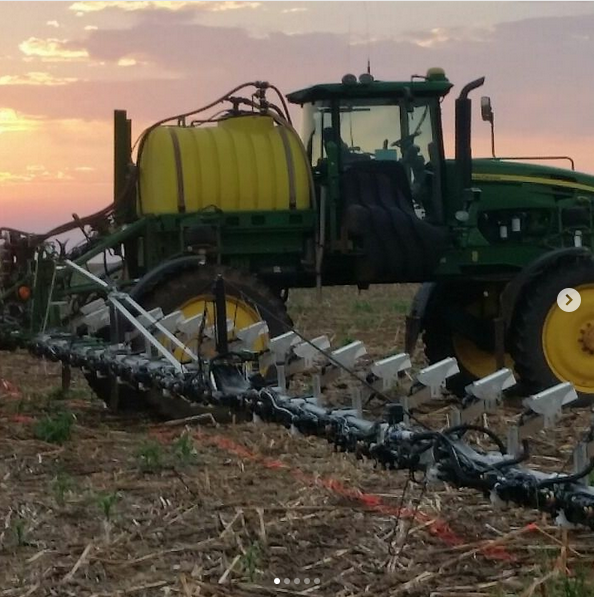 But technology can help: WEEDit uses sensor technology to spray only green plants (it’s a much improved version of the old WeedSeeker system), thus cutting herbicide costs on chem-fallow by as much as 80%, according to a longtime acquaintance of mine (Scott Arthaud) who purchased and ran one on his Oklahoma panhandle farm in 2017. He thinks very highly of the system and notes that it allows him to continue to no-till whereas most of his neighbors have resumed pulling v-blades thru their summerfallow because of the cost of controlling resistant weeds. After the 2018 season, Arthaud reports that his fallow costs using WEEDit are similar to the cost of running v-blades, and soon will be lower than v-blading! (American Implement in Garden City, KS is a dealer and has a very knowledgeable tech guy for these systems.) If you farm on a large scale, the cost of the system can be recouped in 1 – 2 yrs. The kits can be installed on any boom. WEEDit is great technology for long fallow periods. Similar or lower cost than v-blading says one user. Eventually we should have affordable self-propelled robots to kill or pluck weeds with methods that don’t involve herbicides. These have been running in orchards, vineyards, and lettuce fields for several years. Blue River Technology had a tractor-mounted unit running in cotton and soybeans in Arkansas this year  (it was carefully spot-spraying with herbicides however); as you probably know, Blue River was recently bought by Deere, so maybe they’ll speed up the development. We still have effective herbicide tools, but they’re dwindling faster than new MOAs are being discovered (it’s been a couple decades since we had a new one). So we’re going to have to be a little smarter in how we use them, and add in non-chemical control measures (but not tillage). In some areas, cover crops (especially cereal rye and other very dense covers that actively suppress weeds) help considerably in cutting down weed emergence. That is a tool that most of you can make better use of, right now. Another one is rogueing—whether it’s crews of high school students, or Mexicans, or doing it yourself, it’s a viable practice when it comes to really obnoxious weeds such as Palmer pigweeds (many farmers in the Deep South take the tack of zero tolerance, and I think this is entirely reasonable for Palmers). One client of mine who has a couple thousand acres of soybeans each year employs rogueing crews to cover every field, but also has them flag areas where the density is too great to be cost-effective to rogue, and he goes in with paraquat and kills everything in those spots. I have other clients who also employ rogueing crews, and the consensus is that they’re expensive, but not as expensive as other options (i.e., more herbicides). The problem with rogueing, however, is that there are always some that are missed. But the fact that there are escapes doesn’t stop us from using herbicides. Wise words. We need to diversify our methods. But make no mistake: Tillage certainly shouldn’t be one of them.